The delegates from Royal Thai Government led by Dr. Chaiyanun Sangma-kar, Director, Chonburi Technical College called on Hon’ble Minster, Ngeema Sangay Tshempo of MoLHR at Minister’s office this morning. Hon’ble Minister extended a warm welcome to their visit to Bhutan. Dr. Chaiyanun Sangma-kar thanked and conveyed Lyonpo that he looked forward to developing close relations with Bhutan. In the meeting, they had a discussion on various TVET activities, arts and crafts, skills development, especially in the areas of packaging technology, wood craving and metal work. Also discussed on recruitment of additional Bhutanese Graduates as English Teacher in all 420 Vocational Colleges under Office of Vocational Education Commission (OVEC) Ministry of Education, Thailand. 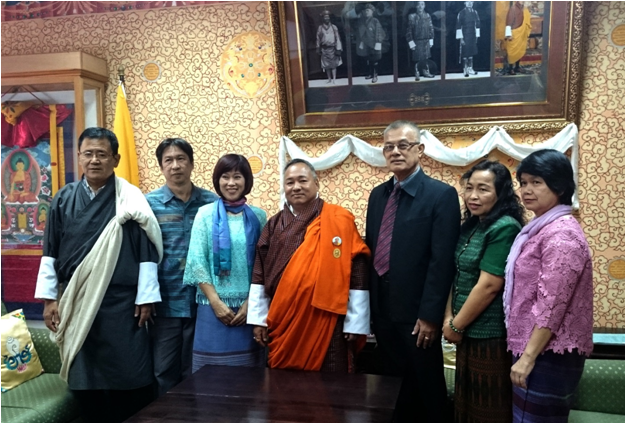 Further, they deliberated on instructor exchange program and skills development training for Bhutanese instructors in vocational colleges under OVEC, Thailand. Ambassador of Thailand to Bhutan, H.E. Ms. Madurapochana Ittarong made a farewell call on Lyonchhen Tshering Tobgay at the Gyalyong Tshogkhang today. The Prime Minister thanked her for overseeing the strengthening of Bhutan-Thailand relationship and conveyed that the friendship between the two countries have enjoyed tremendous success during the Ambassador’s tenure. Lyonchhen Tshering Tobgay met H.E. Mr. Liu Zhenmin, Vice Foreign Minister, Ministry of Foreign Affairs of the People’s Republic of China and delegation at the Gyalyong Tshogkhang this morning. 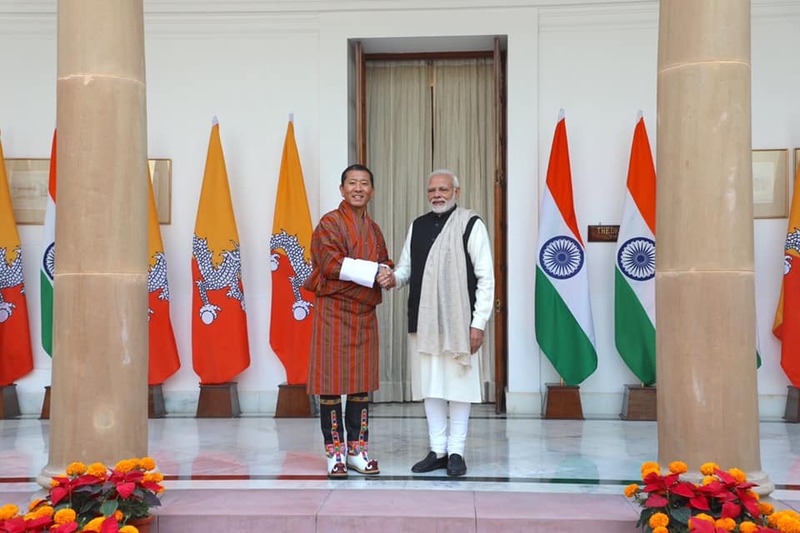 After an exchange of pleasantries, the Prime Minister thanked the Chinese delegation for continuing to visit Bhutan and conveyed that such exchanges would promote the cordial relations between the two countries.